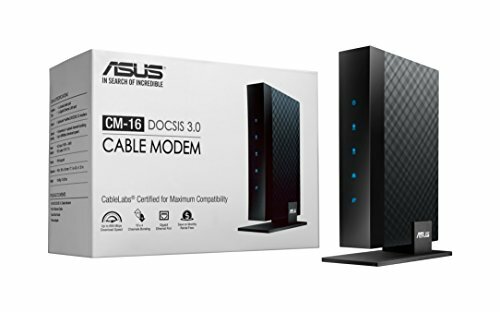 The Asus CM-16 modem is a fairly fast, reliable and highly compatible modem rated for max download speeds of 686mbps. This is a sleek standalone Docsis 3.0 modem with 16x4 channels, 1 gigabit ethernet port and no emta compatability. Note that this modem does not come with built in WiFi and requires a separate router. We recommend this modem for internet plans up to 300mbps. To get maximum speeds from your plan, we recommend pairing with with a quality or mesh router (AC1600+).